A Milgrain edging looks like little beads of metal. 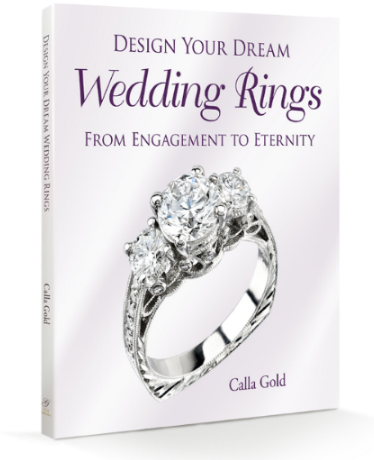 It is frequently put on at the edge of your ring or to frame a design element of your ring. In this post I’ll talk about how having milgrain edging and special detailed designs on your ring could effect your maintenance costs in the future as your ring needs sizing. 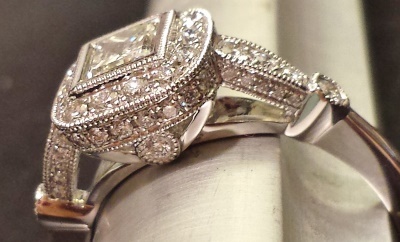 Milgrain edging adds an estate or old fashioned feel to the design of your ring. When using hand engraving to add detail and sparkle to your ring design, you’ll frequently want to add the milgrain engraving style to frame it and to provide the finishing touch. The area of sizing will be effected as will the surrounding area. After a piece of gold or platinum is added or subtracted from the ring to make the new size, the ring is soldered back together. Then it needs to be polished and smoothed out. This also smooths out the surrounding area for a quarter to half an inch on either side of where the work was done. Your milgrain engraving will need to be restored by a hand engraver. It may not look exactly the same especially if your ring was machine milgrained at a factory instead of hand milgrained. Some rings have milgrain that is put on at a factory and it is uber precise. When that milgrain goes all the way around the ring, it will get messed with when that ring gets sized. 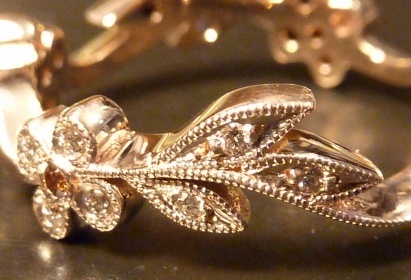 Some vintage rings or vintage designed rings have hand done milgrain going all the way around. engraving. When you size a machine milgrained ring and have a hand milgrain edging put on it in place of the machine engraving it will look a little different. 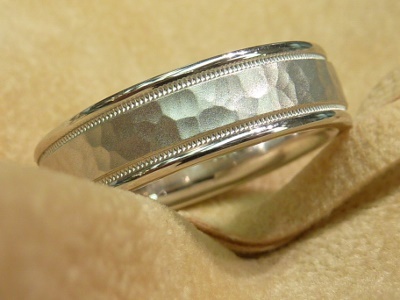 Range of cost, after the cost of sizing, to fix the milgrain edging on the outside of your ring – $35.00 to $75.00. If you have engraving on three sides it could push the cost higher. Karat stamps and inscriptions on the inside of the shank may have to be cut out or soldered over during sizing. If this is the case, the ring will require re-engraving which will increase the cost of the process. Range of cost to restore the engraving of any inscription on your ring: $20 and $50. The re-stamp the karat of your ring should be a free service if it gets obliterated during sizing. 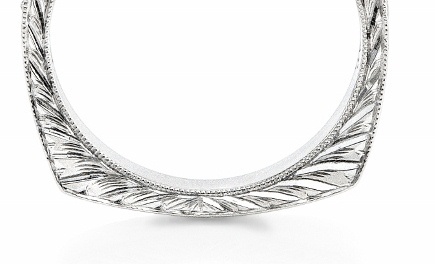 Imagine a ring with an intricate design pattern extending all around the band. To size it larger, the shank would be cut open, pulled apart, and a smooth piece of metal would be inserted and soldered in the gap. Or a piece could be removed. In the ensuing polishing and finishing the metal would have altered in look and not be ready to wear. Any kind of design feature on the shank of a ring may be impacted during the sizing and require work. Some work will be more extensive and require more labor than others. 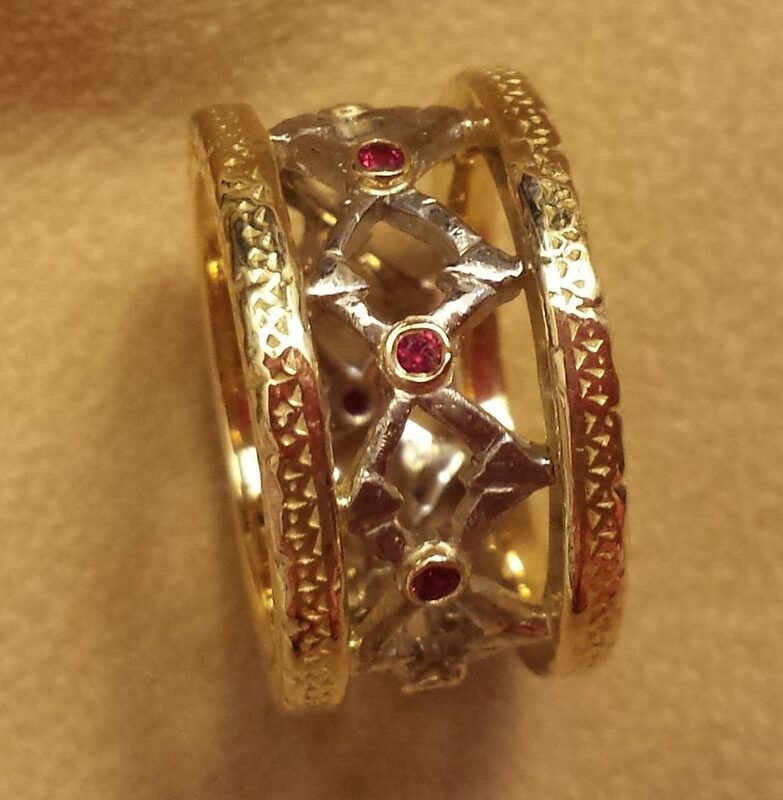 Range of cost after the cost of sizing, to re-apply, re-engrave or restore the design on your ring: $20 to $100. I’m not sharing this information to encourage you to get a plain vanilla ring, just to inform you, so you realize that there are more maintenance costs associated with your unique ring. Just like having a beautiful high performance sports car needs more love than a Toyota Camry in the maintenance department, your unique and decorative ring needs more from a jeweler than hammer and tongs! This milgrain edging looks so pretty. Even knowing about the sizing issues and added cost to do future work on it, I want my next ring to have some milgrain on it. I’m glad to know about the possible issues though. 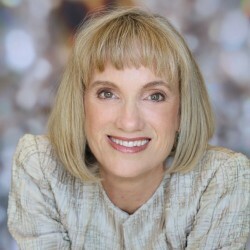 Thank you Calla! Your thorough explanation of milgrain edging and personalized finishes and their effect on sizing costs makes it easy to understand the distinctions and value of the personalized aspect of jewelry design. I love how gorgeous the ring examples are. I started out curious about ring sizing costs and now I want to re-design one of my rings! Ha! My engagement ring is the one in the first photo (princess cut with round brilliant halo) you used to describe milgrain edging. 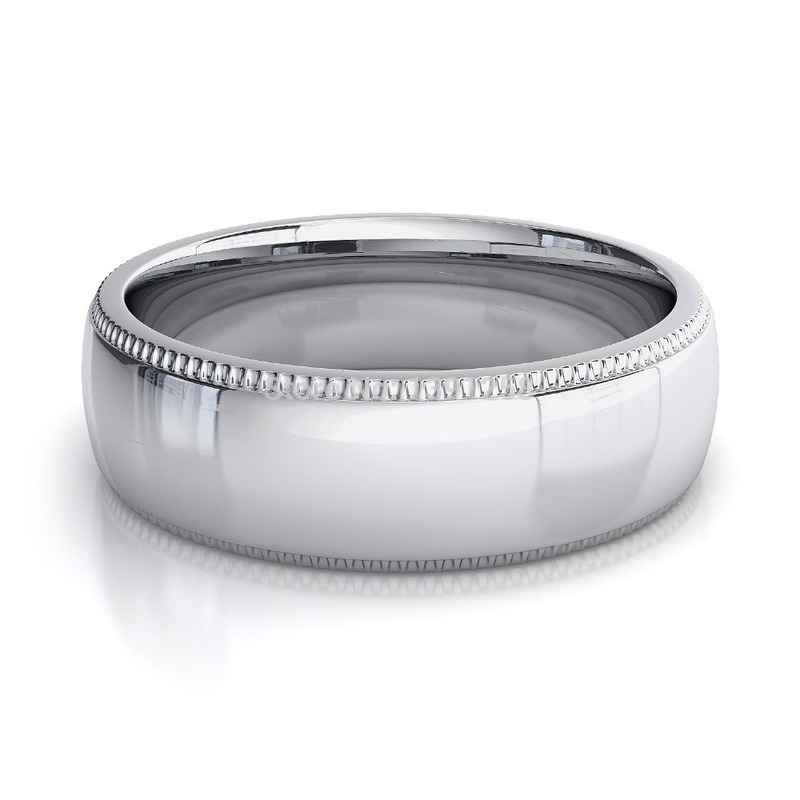 It has a low profile and I am having a difficult time finding a wedding band that looks good with the ring. Is there a specific style or band that you would recommend?